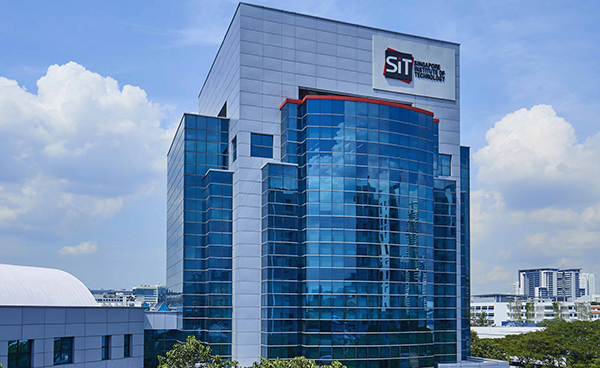 The Honours Degree in Bachelor of Science in Physiotherapy is a new degree programme jointly developed by Singapore Institute of Technology and Trinity College Dublin. The programme aims to graduate professional physiotherapists who are theoretically-grounded and clinically-oriented to practise autonomously in different specialities of physiotherapy. Students in the programme will have opportunities to gain clinical experience working in the various major hospitals and health care facilities in Singapore. In addition, the curriculum in this four-year degree programme is developed with consultation from clinical partners to ensure relevancy of the skill sets and employability of the students upon graduation. For students to be awarded the Honours Degree in Bachelor of Science in Physiotherapy, they need to successfully complete seven trimesters of study, 30 weeks of clinical placement [Integrated Work Study Programme (IWSP)] and an individual honours thesis. The Professional Conversion Programme for Physiotherapists (Accelerated) [PCP-PT (Accelerated)] provides mid-career Professionals, Managers, Executives and Technicians (PMETs) with an additional pathway to pursue a switch into Physiotherapy. There will be funding support by Workforce Singapore (WSG), the Ministry of Health (MOH) and co-sponsoring healthcare organisations for trainees to undergo the two-year eight-month programme at SIT. Physiotherapy is a profession that is highly sought after in Singapore. Besides the hospitals, physiotherapists can work in various areas such as community hospitals, nursing homes, senior care centres, home and domiciliary care services, special schools, sports institutes (sports teams), gymnasiums, private practices and government agencies. Obtained a good pass in two of the following H2 subjects: Biology, Chemistry, Physics and Mathematics. And also offer General Paper or Knowledge & Inquiry in the same sitting while satisfying Mother Tongue requirements. Successful applicants who have a Science-related honours degree from a recognised university may be offered a place by SIT in the two-year eight-month accelerated PCP-PT programme. Other degrees will be considered on a case-by-case basis. This module covers biomechanical principles, mechanical interactions at the levels of tissues and body systems and application of biomechanics in clinical situation. This includes calculation of momentum, force, torque and energy within the human body. Students will be taught the working principles of common equipment used in physiotherapy treatment such as shortwave diathermy, therapeutic ultrasound, electrical stimulation and laser. Concepts of thermal physics and electricity will be covered in the module. Students will be exposed to technologies used to quantify human movement (e.g. motion capturing, force plate, electromyography) and introduced to the latest medical technologies used in rehabilitation (e.g. robotics). The scientific study of human movements is the foundation of physiotherapy practice. In this module, students will learn kinesiology terminology, osteokinematics and arthrokinematics, muscle actions and motor control principles, all of which are fundamental to the understanding of human movements. Students will develop practical skills to define and analyse movements, including observation, palpation of surface anatomical landmarks, goniometry and manual muscle testing. An important application of kinesiology is movement analysis of common functional, sports and recreational activities, which is central to physiotherapy diagnosis and practice. The module covers the clinical application of electrophysical agents, massage techniques and usage of mobility aids in physiotherapy practice. It provides the students with knowledge on the physiological effects and current evidence of efficacy of commonly used electrophysical agents and massage techniques. Students are also taught the fundamentals of clinical reasoning in physiotherapy practice in the module. Theoretical knowledge and practical applications related to the selection and application of electrophysical agents, mobility aids and therapeutic massage are covered in both lecture and practical classes. The module on musculoskeletal physiotherapy (extremities) will focus on the development of critical thinking in diagnosis and practical skills in physiotherapy assessment and treatment of common musculoskeletal conditions. Students will be introduced to the different musculoskeletal conditions affecting the upper and lower limbs, alongside the relevant physical assessment and evidence based treatment approaches for these conditions. Clinical case studies will be used to apply the theories in the appropriate contexts of physiotherapy practice. The module will cover topics on effective communication in clinical interview, clinical reasoning skills, physical examination skills, treatment and manual handling skills for physiotherapy in the musculoskeletal context. The module aims to progress the knowledge of physiological principles learnt from Anatomy and Physiology 1 and 2. This module will provide the student with knowledge surrounding the principles of adaptation during exercise, examine the changes that occur to specific physiological components (cardiovascular, respiratory, endocrine & neuromuscular) during exercise in addition to the adaptation that occurs over time when adhering to an exercise training programme. This module is designed to achieve entry level physiotherapy competency and clinical skills in cardiopulmonary physiotherapy. The module explores the role of cardiopulmonary physiotherapy, integrating skills and techniques, theoretical concepts, clinical reasoning and the evolving body of knowledge from the current evidence. The module provide emphasis on the management, with focus on the management of acute cardiopulmonary conditions. Population health is the focus for many health systems in recent years. Population health outcomes are becoming more specific and attention is now shifted upstream, as health impact at population level is greater than at individual level. Recent research evidence suggests that health promoting activities and health education messages must be predicated on established health behaviour change models or theories. In this module, students learn the appropriate public health terminology in relation to population health outcomes, and to integrate various branches of sciences to effect health promotion, disease prevention and overall positive population outcomes. This module introduces a reasonably detailed and systematic overview of the anatomical and physiological organisation of the brain, peripheral nervous system and their related structures. It describes the process of neurotransmission, the criteria for molecules to be considered neurotransmitters and the synthesis, release and reuptake of a range of neurotransmitters in the body. The sensory receptors and pathways responsible for the sensation of pain, touch, audition, smell and vision will be described along with the pathways responsible for voluntary movement, the motor hierarchy and the control of voluntary movement. The module further explores the mechanisms for brain network in terms of emotion, motivation, learning and memory, as well as maintaining balance and upright posture, and the sensory receptors involved. The module focus on the development of critical thinking in the diagnosis and skills in physiotherapy assessment and treatment of the spinal vertebrae. This module will adopt the problem-based approach placing the theories into the appropriate contexts of practice. Arthrokinematics of the spine will be covered in the module. Students will be introduced to the different musculoskeletal condition affecting the cervical, thoracic, lumbar and sacroiliac joints with evidence-based assessment and treatment approaches. The module will also cover topics on effective communication and manual handling skills for physiotherapy in the musculoskeletal context. Topics on orthopaedics in musculoskeletal and chronic pain management will be included in the module. Students will learn pre and post-surgical management of orthopaedics cases related to the spine (e.g. spinal surgery, fracture management) and management of patients with chronic pain syndrome. Students will also learnt about ergonomic assessment in the programme. The aim of this module is to provide students with an in depth knowledge of the methodology employed in Research. Secondly the module intends to provide the student with the theoretical and practical methods used in the analysis of data. A further aim is to apply the information gained to the critical appraisal of research studies. This module aims to introduce the role and purpose of cardiopulmonary rehabilitation. Applied cardiopulmonary anatomy and physiology provide the basic principles of exercise rehabilitation management in chronic cardiopulmonary conditions. The module will explore the concepts underpinning current approaches to the assessment and management of cardiopulmonary dysfunctions. There will be analysis of the supporting theory and available evidence alongside some practical application of assessment and management techniques. Significant emphasis will be placed on the development of clinical reasoning in the evaluation and management of patients with cardiopulmonary dysfunction. Students will be encouraged to critically appraise and evaluate the theory, evidence-base and practical application of current cardiopulmonary exercise rehabilitation practice. Common non-communicable diseases and their management are considered in this module. Respiratory disease and Cardiac disease are considered in the Cardiopulmonary Physiotherapy and Rehabilitation module. The clinical sciences that will be studied in this module will include obesity/diabetes, oncology, Blood borne disorders (HIV and Hepatitis C) and mental health. The aim of this module is to provide the student with an understanding of the role of the physiotherapist in the prevention and management of chronic diseases. The epidemiology, diagnosis and overall management will be studied. The aim of this module is to provide the student with a theoretical knowledge and practical skills in the assessment of exercise capacity and body composition, and in exercise training programmes in healthy individuals. This module will build on the the Exercise Physiology module in Year 2 and form the basis for Clinical Exercise Prescription in Year 3. This module aims to provide the learner with a framework for the assessment and treatment of people with neurological disorders. This includes equipping learners with the knowledge and skills in the assessment of impairments and their contributions to activity limitations and participation restrictions, clinical reasoning and treatment techniques based on motor learning and motor control principles. This module progresses the knowledge and skills learnt from the Principles in Neurological Physiotherapy module and aims to equip learners with the necessary competencies required for clinical placements in neurology settings. This includes providing learners with the knowledge and understanding of traditional and current treatment approaches, including advanced technology and their underlying principles and evidence, advanced clinical reasoning skills and interactions within multidisciplinary settings involving medical and non-medical professions. Additionally, this module prepares the learner to communicate patient goals within multidisciplinary settings and advocate for patients’ rights and the profession. The objective of this module is to build on the principles of the Enhancing human performance by exercise module and enable the students to prescribe exercise in subjects with pathology. This module also complements the Cardiopulmonary Physiotherapy and Rehabilitation module. In addition the specific considerations when prescribing exercise in children and the elderly will be explored. The module aims to prepare student as competent entry-level practitioner in paediatric physiotherapy. Focus is given to students developing a clear understanding of typical development and the potential influences upon a child’s development. The student will learn about the changes that occur from infancy to maturity in the neuromotor, musculoskeletal and cardiopulmonary body systems. The impact of congenital or acquired conditions or lifestyle diseases causing dysfunction in one or more of these systems will also be introduced. Maternal Health issues are also covered in this module including changes through life, effects of pregnancy and condition commonly encountered. Overall the aim of this module is enable the student to carry out successful research in a particular field, through the review, synthesis, and evaluation of literature. This module builds on the Research Methods and Statistics Module in Year 2. This module concentrates on the effective presentation of research literature in the form of two literature reviews. The module focuses on the concepts of critical care related to multi-organ/ system function and dysfunction, and holistic care relating to physiology, assessment, pathophysiology, system failure and clinical management of the body systems. Core concepts of complex pathophysiology, current treatment modalities, and physiotherapist’s roles in critically ill patients will be discussed. Specific clinical and professional issues relating to the critical care environment will also be addressed. The module builds on the two previous years by revisiting the core areas of physiotherapy practice (musculoskeletal, respiratory and neurology) through a case based approach. New material is introduced in order to support the integration of knowledge from all practice areas to addressing the complexity of treating and managing multi-factorial health issues across all areas of health care from hospital to long term care to home. Specific clinical and professional issues and patient-centered care will be addressed. This module introduces creative thinking and innovation and applies this in the Healthcare context. Students will be provided with a thorough understanding of how innovation can convert knowledge into products, services and policies for economic and social and cultural benefit. The emphasis will be on how innovation and creative thinking can enhance healthcare for the individual user, employee or organisation. This module examines ageing and growing older from both a sociological and rehabilitation perspective. Attitudes to ageing and to older adults are explored as well as the conditions encountered in later life. The physiotherapy role in rehabilitation is explored from a balance and mobility perspective. This module is complemented by the Foundations of Neurological Physiotherapy module and the Advanced topics in Neurological Physiotherapy module. The purpose of this course component is to provide the students with clinical experience and opportunities to develop clinical skills in areas such as cardiopulmonary, musculoskeletal, neurological, intermediate and long term care and selective specialised areas such as paediatrics, obstetrics and gynaecology, and geriatrics. The clinical practice education will be conducted at different hospitals in Singapore across various healthcare settings. Students will spend six weeks at each clinical practice to develop the relevant physiotherapy competencies. Students will be posted to four core areas of physiotherapy setting (musculoskeletal, cardiopulmonary, neurological physiotherapy and intermediate long term care). An elective placement in a specialised area of physiotherapy will be included but this is subjected to availability and further approval by programme director. In total, the students will undergo five blocks of clinical practice education. All clinical placements are supervised by one or more trained clinical tutors/supervisors. This module explores the conceptualization of professionalism of the health professionals with respect to identity, the work they perform and autonomy. Both occupational and organizational professionalism will be discussed in the context of the new public managerialism. Besides developing theoretical foundation on understanding professionalism, representatives from the respective health professional associations and bodies will be invited to share with students the importance of membership with professional associations and their advocacy work. Students learn various ethical theories from both the West and the East, and incorporate these in case-based learning activities that also stimulate and chart their moral development. Pertinent healthcare laws locally as they relate to the professional and ethical conduct of health care professionals as well as health services provision will be integrated throughout the module. This module is intended for students from various health sciences disciplines so that interprofessional learning about professional and ethical issues can be achieved.